A lovely snuggly tracksuit in black, including a hoodie style top and matching pants. A lovely snuggly tracksuit in black, including a hoodie style top and matching pants.. It is new without tags, a sample by Ninth Moon. The fabric has plenty of stretch. 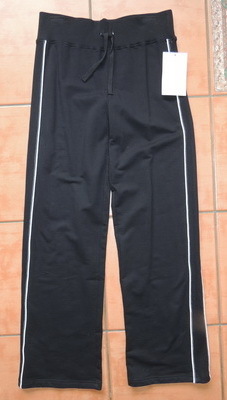 It has a widewaistband with drawstring and has a stripe down the pants. 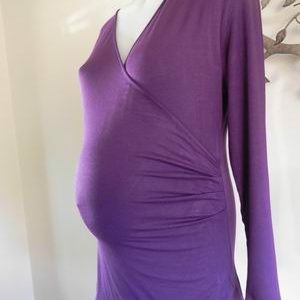 The top has a pouch and is a hoodie style. There is plenty of stretch in the cotton blend fabric. Great for all year round and for mix and matching with other pieces. Be the first to review “NEW Black Hooded Maternity Tracksuit” Click here to cancel reply.